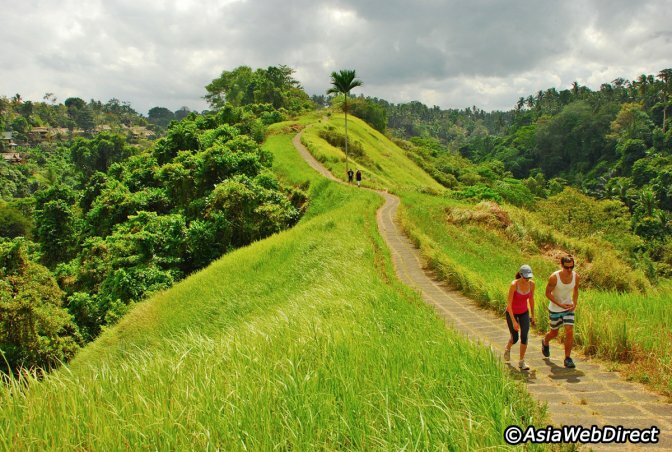 For a free and easy nature trek in Ubud, try the Campuhan Ridge Walk that offers you an escape from the bustles of the main Ubud streets to enjoy cool fresh air and probably the most gorgeous hillside vista in the region. It starts off from the scenic Gunung Lebah Temple, and there’s a chance you’ll meet a few fellow trekkers and joggers on their way back from their morning walks. However, most of the time you’ll have the path to your own.